11-12-2012 - sometimes you get a little luck with your Buell. Sometime you need a little luck with your Buell XB9 or XB12. 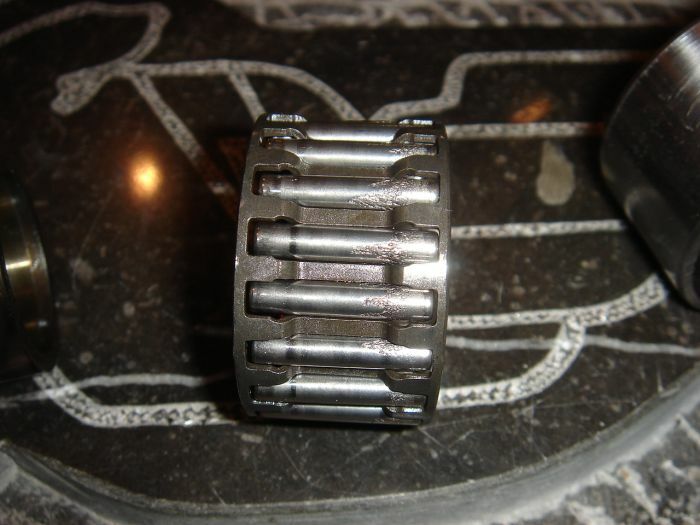 One of our customers with a Buell XB9 with +/- 38000 km was in our workshop because he had a nasty sound in his gearbox. We agreed to make it a winter job for him, as it was already the end of the riding season here in Europe. 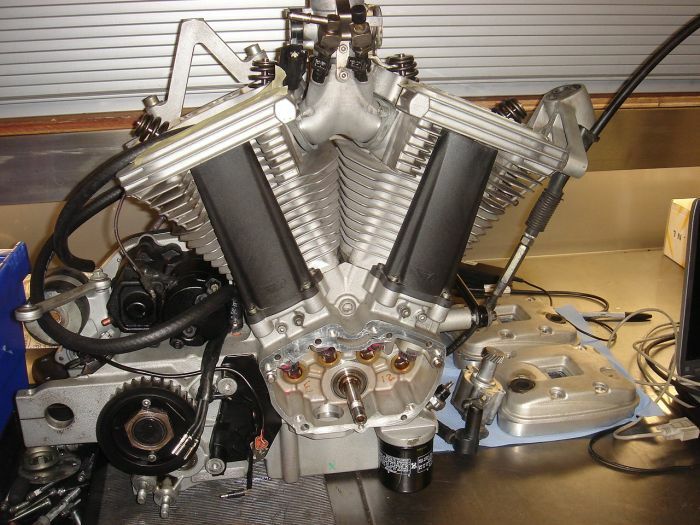 we started working on the bike and took the Buell engine out. 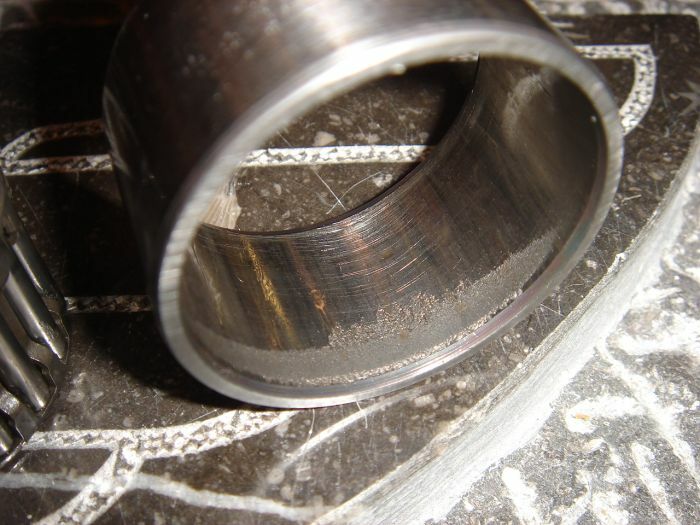 the sprocket shaft bearing races where damaged and where starting to chew up the Sprocket shaft bearing. There was no indication that this was happening, no debris in the oil, and no strange sounds. we replaced the inner race and outer race, and line lapped these to fit the new bearing. the engine is opend. 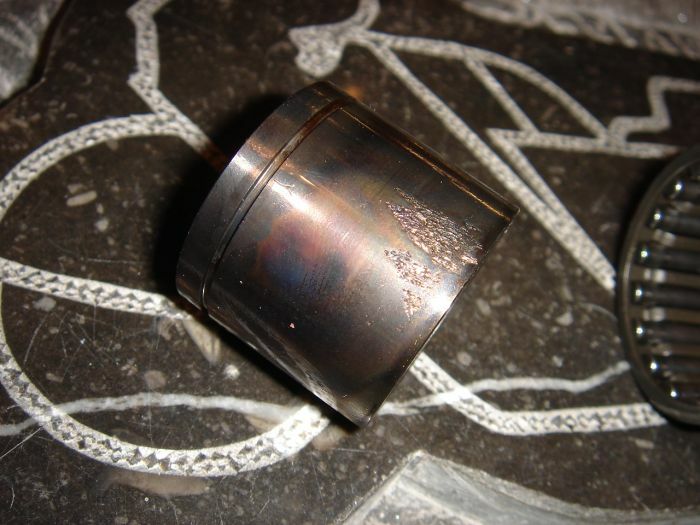 When you don't give this the right attention and when this is not noticed, the failure that could occure could become a catastrophic engine failure,and most off the engine parts would need replacement when that happend. This engine is waiting for coated parts and we put here together again. and she is ready for a lot of miles.